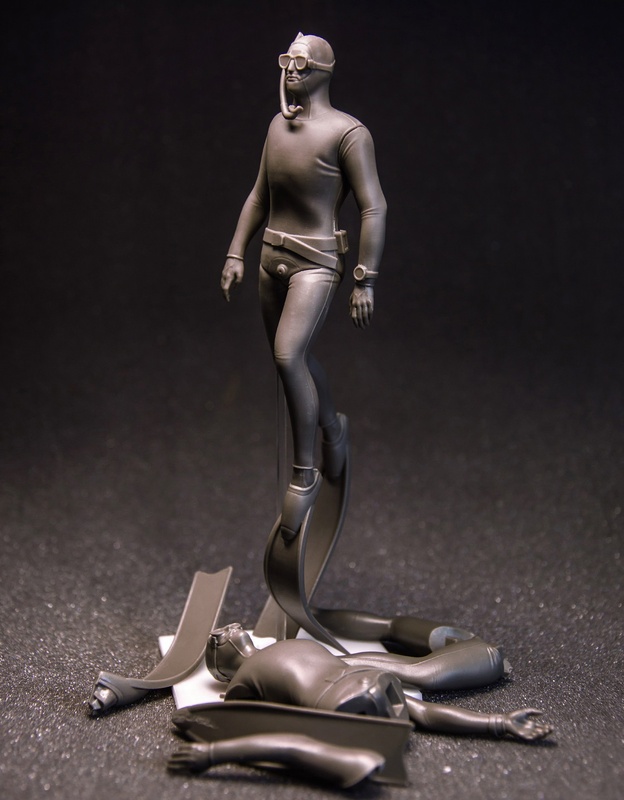 "Freediver" is a collectible figurine diver who coming down with paused breath. The figure presents a diver wearing a suit, ballast belt, mask with pipe, computer, and long fins. The character is captured at the moment of rising from the depths.